Serum autoantibodies in patients 2 and 3. 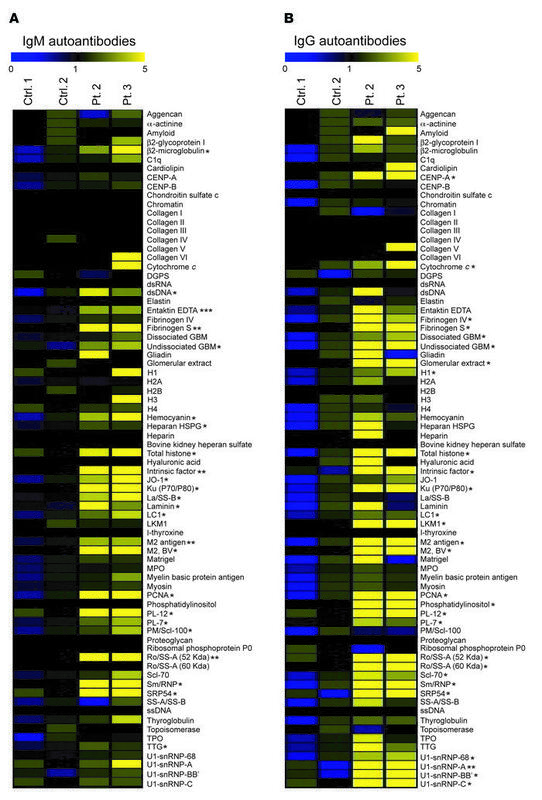 (A and B) Heat map display of IgM (A) and IgG (B) autoantibody reactivity against self-proteins in the sera of patients (Pt.) and controls (Ctrl.). A value of 1 is equal to the mean of the controls. P values were obtained by 2-tailed Student’s t test. *P < 0.05; **P < 0.01; ***P < 0.001.